In the early 90's a group of high ranking officials from the Russian and American governments came together to form a highly classified initiative that could potentially lead to the death of millions of people. To ensure the security of the agreement, all involved parties sign a document that allows an international assassin to be ordered to eliminate anyone who leaks the information. Fast forward to the present day, and the information has been stolen. With the threat of the horrific details of the plan being revealed, various entities begin to search for the documents, and the person who they believe could be responsible. Will Cochrane, an MI6 operative leads a team, in cooperation with the CIA, to attempt to find the man responsible for the missing papers. But the mission soon becomes far more personal. Someone has discovered Will's true identity, and threatens to release the information and to harm his sister, the only person on the earth who he truly cares about. The story quickly becomes an international tale of intrigue in which Will grapples with the implications of the released documents, faces the highly dangerous assassin, and attempts to discover the person or people who threaten to blow his cover. The complexity of this novel makes it quite difficult to explain the plot without spoiling the twists and details that make it so compelling. Author Matthew Dunn is a former MI6 operative himself, so he brings a unique understanding of the inner workings of the secretive organizations that are explored in this book. This is the third novel to feature Will Cochrane, but the story itself stands alone as a completely realized narrative. It took me a bit of time to acclimate myself to all of the military jargon used throughout the novel, but the plot is intriguing enough that I was quickly able to work through it. The character of Will Cochrane could have easily been a cold, one-dimensional man, especially given the secretive nature of his work. Where Dunn really excels is in extracting the emotions of this man who has essentially been trained to show none. It was fascinating to read about Will's internal battle of dealing with his inner feelings while never letting them betray the complex mission at hand. Overall, this is a fast paced, complex, international conspiracy novel that easily sets itself as a top example of the genre. 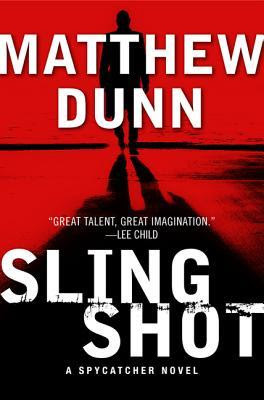 Dunn is able to successfully combine his own personal experience as an MI6 operative with the conventions of modern thriller novels to create a unique and nearly flawless book. I've been a fan of James Patterson's Alex Cross series since I first read Mary, Mary. Quickly, I got my hands on a copy Along Came A Spider, and have read every Cross novel since. 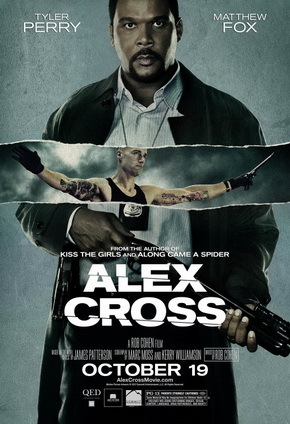 There have been adaptations of Along Came A Spider and Kiss the Girls, both staring Morgan Freeman as Alex Cross. With Hollywood’s recent trend of sequels and remakes/reboots, it came as no surprise when I heard that a new incarnation of the Alex Cross series was beginning production. Based on the novel Cross, a kind of new direction for the books as well, I was more surprised when I heard Tyler Perry had been cast as the famed detective. Known more for his comedies than his serious work, Perry was a bold choice that could have potentially changed the direction of his career. With the talented Matthew Fox (most famous perhaps for his role on the T.V. series LOST) playing the main villain in the film, it seemed viewers were in for a real treat. Unfortunately, the actors are never allowed to reach their full potential. While Fox really plays a deplorable villain and Perry shows surprising dramatic chops, a script that is simply not good enough weighs them both down. Patterson has never been one to worry about the plausibility of his stories, but the film mostly ignores Patterson's plot, taking the story into even more unbelievable directions. Both characters hint at deeper emotional backstories, but plot never allows them or the audience to delve past the surface. Rather, they are used more as pawns to lead us through a cat and mouse game that comes to an unsatisfying conclusion. For casual action fans, this film is a fine escape that doesn't require much thinking and has a few promising scenes. For fans of Patterson and his Alex Cross series, this movie uses the name Alex Cross for a character that only slightly resembles the one in Patterson's novels. If you're looking for something a little closer to the novels, check out the Morgan Freeman films instead. Have you seen this film or read the book on which it is based? How do you think the two compare? What other film adaptations would you like to see reviewed? In 2011, I was introduced to the religious conspiracy thriller, Sanctus, by Simon Toyne. While Sanctus shared some similarities with the Robert Langdon series by Dan Brown, I was impressed with the way Toyne was able to take the phenomenon that was surrounding religious thrillers and make something uniquely his own. 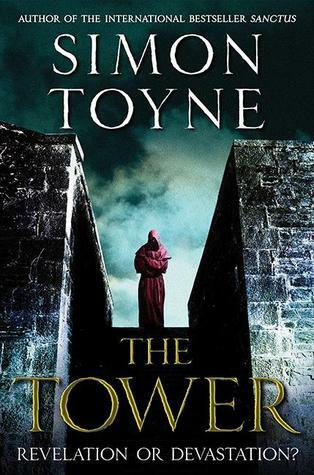 In The Tower, the third and final novel in Toyne's Sancti Trilogy, we meet Joe Shepherd. While still a student at the FBI Academy in Quantico, Shepherd is temporarily given the qualifications of a full FBI agent, in order to allow him to assist with an investigation. Recently, a cyber-attack was mounted against the command center for NASA's Hubble Telescope, leaving the orbiting machine unusable. Even worse than the attack itself is what investigators discover at the center. The American scientist who oversaw the Hubble project is nowhere to be found. Left behind is a countdown clock and the message on his computer, "Mankind Must Look No Further." Shepherd investigates with his teacher turned partner, Benjamin Franklin, and uses his unique knowledge of the scientific community (he was once a student working as a NASA intern) to uncover clues to the mysterious events. But as he begins to find answers, more questions arise. There seems to be a religious connection to events that occurred months earlier, at the Citadel, a monastery that lies within the Turkish city of Ruin. All signs point to these strange events, leading Shepherd to race against the clock to discover secrets that could potentially lead to the end of the world. Readers of the previous novels will recall the American reporter, Liv Adamsen and the ex-special forces operative, Gabriel Mann, who were the main focus of those stories. They appear in this novel, as well, and we begin to see the connections of their story to the events taking place in America. As the novel progresses, we see Gabriel struggle to fight against the strange blight, a plague like disease that originated in the Citadel and slowly spreads through Ruin, and find Liz, trapped in the deserts of southern Asia. All three characters face their own troubles, as they soon intersect into a thrilling end. Throughout this trilogy, Simon Toyne has managed to successfully maintain a commitment to relatable characters, thoughtful plotting, and page-turning pacing. This combination has made his novels thrillingly entertaining to read. The opening of this novel takes a bit of time to get rolling, especially as it introduces the new character, Joe Shepherd. Fortunately, Shepherd continues the Toyne tradition of being believably flawed while still being interesting. As his story begins to take shape, the momentum of the inevitable ending begins to mount, and the story becomes completely engaging. While Toyne does a nice job of subtly providing some backstory, to fill in readers who missed the first two installments, there are parts of this story that simply will not work for readers who are coming into this novel without reading the others. Despite this, there are enough new characters and plot points to grab a new reader's attention. Overall, this series may not be perfect, but it is a remarkably effective form of entertainment by an author who has quickly become one of my favorites. Charlie Davis is a man who has settled. Six years ago, he was living a life of excitement and purpose. As a journalist, he was based out of Uzbekistan, chronicling the people's turmoil from government oppression. While there, he met the love of his wife, Julie. A native of London, Julie worked in Uzbekistan, helping citizens and trying, like Charlie, to raise awareness of their situation. This life of excitement peaked one day during a protest demonstration. A very pregnant Julie attended the demonstration with Charlie and her old friend and romantic flame, Alisher Byko and his wife and son. In the heat of the demonstration, a passionate Byko stood on the statue of the Uzbekistan leader and begin to speak in resistance. In that same instant, the government's police arrived and began shooting at the protesters. Charlie climbed a tower to get a better vantage point for photographing the horrific scene. From this higher view, Charlie witnessed Byko's wife and child being murdered. He felt a shot of pain in his back and soon realized that he too had been shot. Fortunately, those days are behind them now. Charlie accepted a position at the LA Times and Julie stays home, raising their two children. Everything seems to be normal. But as is often the case, especially if you're reading a thriller, turmoil rests just below the surface. Julie has recently returned from a trip to New York to visit her sister. To celebrate, she decides to take the family for a day of fun at Disneyland. In a rather terse exchange, Charlie states that he has to go into work, so Julie ends up taking the kids herself. In this moment, we are first given a glimpse into a bit of tension in their marriage. At the LA Times office, Charlie is informed by his boss that he will have to start traveling for overseas reports, as a means to justify him keeping his job. Charlie is fearful of the change, especially after his experience six years ago, but agrees to discuss it with Julie. But he never gets that chance. On their return trip from the happiest place on earth, Julie and the kids get stuck in typical LA traffic. She is on the phone with Charlie, discussing alternate routes, and agrees to call him as soon as she escapes the largest part of the traffic. But the call doesn't come. Fearful for her safety, Charlie races to the area he sent her to. There, he finds police surrounding her car. The kids are both safe, but Julie is nowhere to be found. Distraught, Charlie quickly learns that Julie never visited her sister in New York. Instead, she flew to London. What drew her to her old home country? Even more troubling, what caused her to lie to him? The police are convinced that Julie was having an affair. They suspect that Charlie found out about the affair, and, enraged, murdered his wife. Determined to find his wife and clear his name, Charlie sets out on an international investigation that forces him to relive the darkest parts of his past to guarantee a safe future. 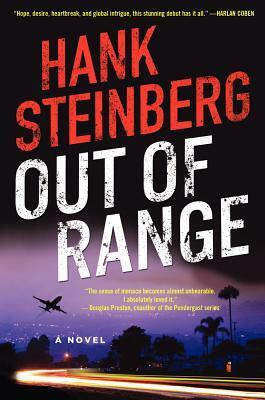 This is the debut novel of author Hank Steinberg, the mastermind behind the hit television series Without a Trace. Steinberg brings that television sensibility to his writing by keeping a quick pace and suspenseful plotting. His characters all seem genuine, and I immediately felt for Charlie as a kind of average guy just trying to ensure the future of his family. The opening two thirds, in particular, are a really stellar example of what a thriller should do. We are given just enough history on the characters to be interested in their actions, and the narrative moves just fast enough to keep us wanting to continue. Unfortunately, the last third of the novel takes a turn into the ridiculously unbelievable. In the moment of what could have been a shocking reveal, we are instead treated to a twist that betrays the fantastic writing that precedes it. This does not, however, stop the action and entertainment factor. Steinberg's television experience ensures a good ride throughout the entire novel. I only wish that the ride wasn't interrupted by a momentary bump of disappointment. Chris Kyle, author of his bestselling memoir American Sniper, was no stranger to guns. As a Navy SEAL, he had a record confirmed 160 kills. Beyond his expert marksmanship, Kyle possessed the unique ability to be a great storyteller. At the time of his tragic death in February 2013, he was working on a new project, American Gun. In the book, Kyle chronicles American history, beginning during the revolutionary war. Each section details this history using a different firearm as the main focus. Having shot each of the weapons featured in the book, Kyle not only speaks of the physical aspects of the guns, but also provides a wealth of historical context that surrounds them. Rather than write about each gun in a textbook fashion, which Kyle himself admits would be incredibly boring, he zeroes in on the human side of the story, placing the reader in the place of the men who used the weapons. There are a few moments of historical speculation, particularly in the section about Lincoln's push to get the multi-shot Spencer Repeater rifle into the hands of his Union soldiers. Lincoln was met with resistance from military leaders who saw the new technology as gimmicky. 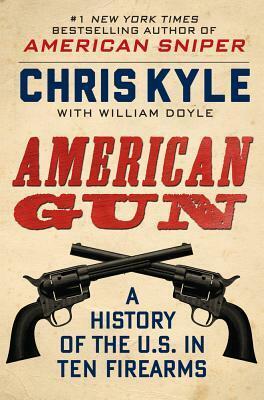 Kyle argues that, had the Union used the new weapons sooner, the Civil War would have ended sooner, and more American lives could have been spared. Despite this speculation, Kyle acknowledges the facts and seems to respect the history as it occurred.